Jon Jonz is Professor Emeritus of English in the Department of Literature and Languages at Texas A&M University-Commerce, where he taught General Linguistics, Modern Grammar, Structure of English, Language Acquisition and Processing and Psycholinguistics. He is the author of studies in language testing, first- and second-language discourse features, bilingualism, text cohesion and basic writing. His work in language testing won the international TESOL Distinguished Research Award. He was the longtime editor of the Southwest Journal of Linguistics and, with John W. Oller, Jr. is the coauthor and coeditor of Cloze and Coherence. An Introduction to English Sentence Structure puts the study of English sentences into the meaningful perspective provided by the broad essentials of functionalism. 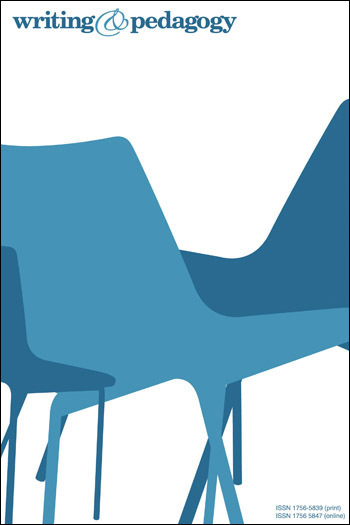 The book starts from the premise that the structure of language reflects the structure of events in everyday experience. By contrast, grammars that are more structural in nature often begin with gross facts about language structure, such as the observation that clauses can be divided into subjects and predicates. The book’s premise reflects the fundamental Hallidayan principle that language simultaneously codes for three dimensions of structure: clause as representation, clause as exchange, and clause as message. This approach has the effect of situating the study of language in the student’s familiar world of ideas, relationships, and discourses. An Introduction to English Sentence Structure blends insights from three prominent modern schools of grammatical thought (functionalism, structuralism, and generativism) using functionalism as the philosophical and organizational motif. It focuses on the representational function of language, encouraging students to use their knowledge of the way the world works in order to understand how language works. The approach taken is hybrid: It assumes that form matters, and in this sense it is structural. It also assumes that form follows function, and in this sense it is functional. As its subtitle suggests, this book is concerned with the argument structure of clauses, the boundary markers of clause combinations, and the syntactic and experiential resources that permit language users to supply the content of empty categories, which are the missing elements. A free instruction manual is available to qualified instructors for downloading from this site. View Manual. Contact Adoption to request access. 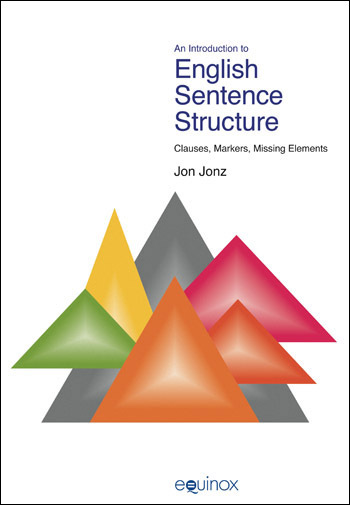 An Introduction to English Sentence Structure puts the study of English sentences into the meaningful perspective provided by the broad essentials of functionalism. The book starts from the premise that the structure of language reflects the structure of events in everyday experience. By contrast, grammars that are more structural in nature often begin with gross facts about language structure, such as the observation that clauses can be divided into subjects and predicates. The book’s premise reflects the fundamental Hallidayan principle that language simultaneously codes for three dimensions of structure: clause as representation, clause as exchange, and clause as message. This approach has the effect of situating the study of language in the student’s familiar world of ideas, relationships, and discourses. An Introduction to English Sentence Structure blends insights from three prominent modern schools of grammatical thought (functionalism, structuralism, and generativism) using functionalism as the philosophical and organizational motif. It focuses on the representational function of language, encouraging students to use their knowledge of the way the world works in order to understand how language works. The approach taken is hybrid: It assumes that form matters, and in this sense it is structural. It also assumes that form follows function, and in this sense it is functional. As its subtitle suggests, this book is concerned with the argument structure of clauses, the boundary markers of clause combinations, and the syntactic and experiential resources that permit language users to supply the content of empty categories, which are the missing elements. A free instruction manual is available to qualified instructors for downloading from this site. View Manual. Contact Adoption to request access. 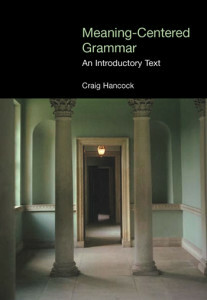 The author explains his intention of steering a middle course between functional and structural approaches to language with the focus of the book being on studying how clauses and clause combinations work to make sentences, paying only limited attention to segments of language larger than that. Explains the structure of book, the source of literary examples used, bracketing conventions and the purpose of activities/exercises and goes on to introduce the concepts of event structure, processes,participants, and circumstances through an analysis of a short segment of written English. This chapter considering participants, participant roles and circumstances showing how Circumstances provide contextual or situational information about when, where,why, and how an event occurs. This chapter initiates a discussion about the constituent structure of word groupings and their dynamics. This chapter considers the special features of English-language verb groups. This chapter focuses on the several functions of English-language clauses, each of which depends on features of the verb group, introduced in the previous chapter. This chapter explores noun groups and how they perform functions almost everywhere in a clause: as attributes in attributive processes, locations in locative processes, complements to preposition groups in prepositional phrases (objects of the preposition), circumstances, and as participants. Previous chapters explored how clauses can be put together by either (a) conjoining one with another in a series or sequence, or (b) sliding one into another, much as one might stack one mixing bowl or one measuring spoon inside another. Chapter 8 gave some consideration to one form of clause combining: wh- embedding. This chapter introduces an additional type, nonwh- subordination. This chapter shows that nonwh- clauses can become embedded in noun groups and adjective groups, that they can co-perform an eventstructure function with an appositive noun group as co-performer, and that they can participate in discontinuous extraposed structures. We will also consider briefly nonfinite wh- clause complexes, which possess the coreference characteristics of wh- clauses but are marked as nonwh- clauses. model responses provided for student review.